Children learn to move in order to satisfy their curiosity about the world around them. 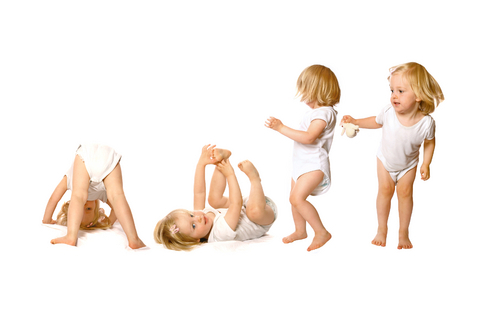 This process involves a sequence of movement explorations in early childhood - lift the head, roll, sit, crawl, walk.*. Many conditions inhibit this process. The aim of the Feldenkais method is to provide a fun, safe learning environment for each child to maximize their potential wherever they may be on this learning curve. *The actual sequence is far more complex.